If I had a totem animal for the last couple of weeks it would be a horse. Too much fun to choose from each day meant I had been sleeping while standing up. 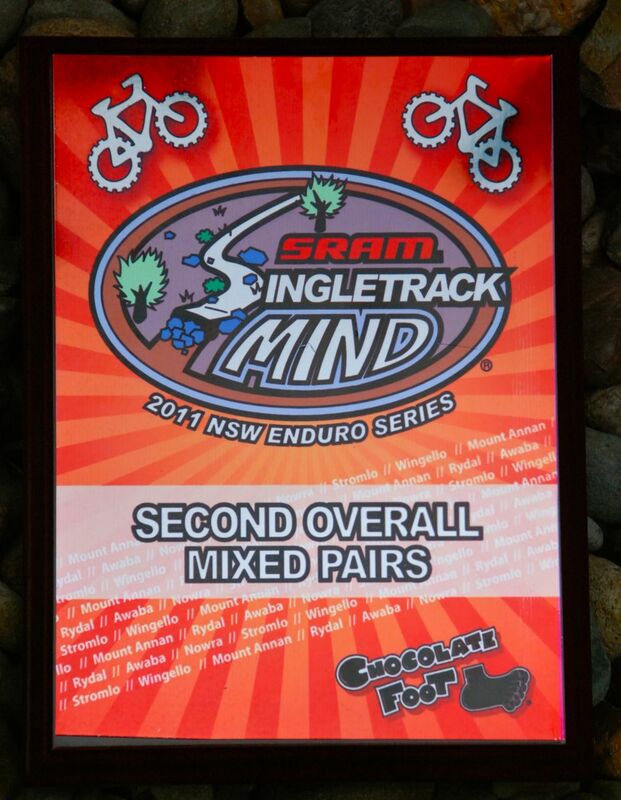 The end of the year seems to have that effect on people and looking around at the Awaba edition of the SRAM Singletrack Mind series, I don’t think I was the only one. But what better way to really celebrate the end of the year than with a bunch of mates, fast, flying, descents and perfect December riding weather? My teammate from previous rounds, Shane Taylor, had his own birthday to attend in Canberra, so Rob Parbery stepped in to jockey for the teammate of the year award and to help Tails and I nab a series pode. Riding his new fully rigid Niner for the first time, Parbs got faster with each lap until his arms were so pumped that holding the bars or holding the brakes were mutually exclusive options. I admire his stamina and hope to channel more of that, and less of sleeping horses, in years to come. 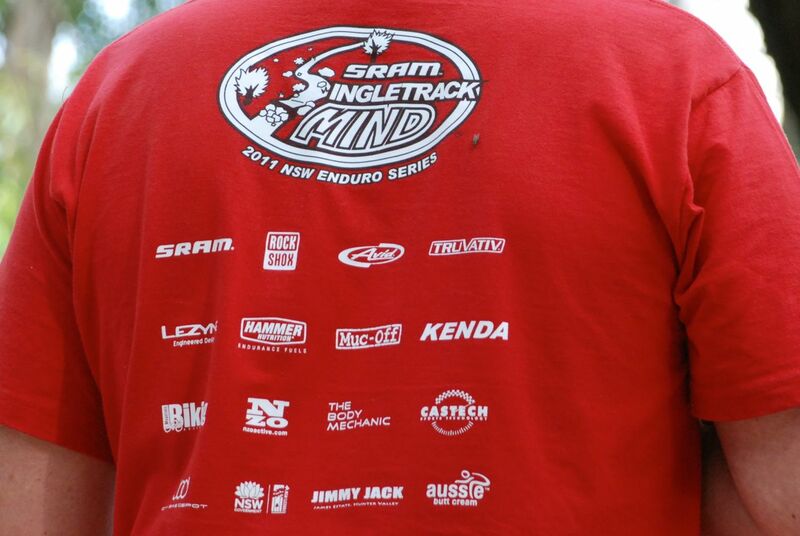 Thank you to the series sponsors for supporting events as good as this one. Gayes and Laura share the podium glow. Also keen to soak up a bunch of new experiences was Laura Stone. Having only ridden six times previously, Laura joined us at “Camp Awesome” where we enjoyed showing her the ropes and feeding off her first-time-racing excitement. 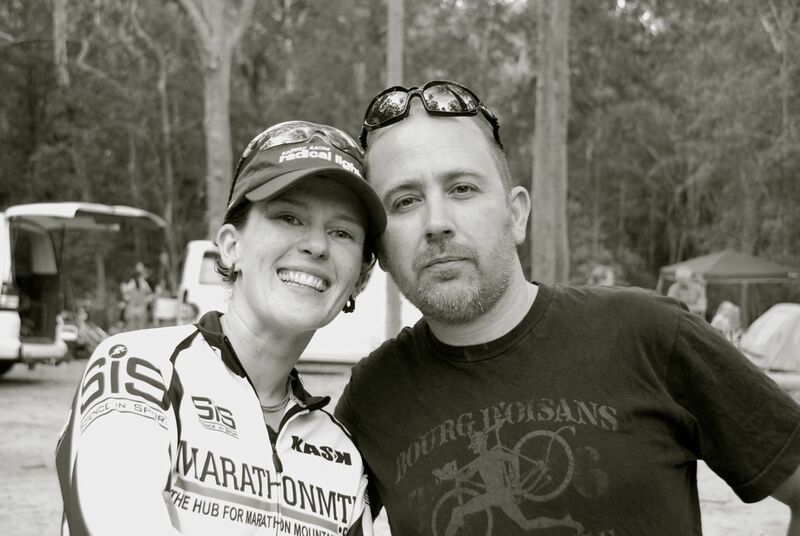 She rode like a champion, ate when we told her to, learned a lot about SPDs and was pretty chuffed to reach second in the women’s pairs with Gaye “chatting at transition is a non-negotiable” Camm. 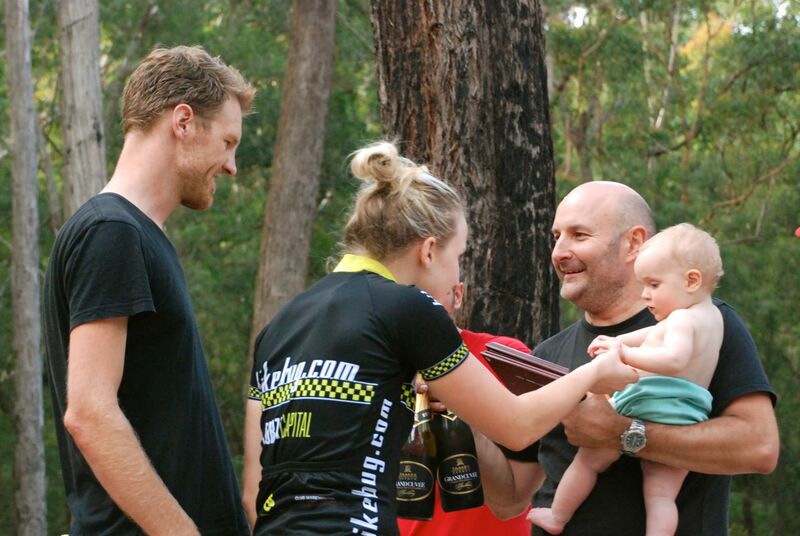 Presentations were a family affair. The series trophies have class written all over them. There’s something really satisfying about reaching the end of the year completely knackered from such a great collection of experiences and such inspiring people to share them with. I’d like to extend an enormous thanks to my sponsors, teammates and to the organisers of bike events like this one for laying the ground work for so many great days to fill the year with and fond memories to look back on at the end of it. 2011 has been pretty special indeed. 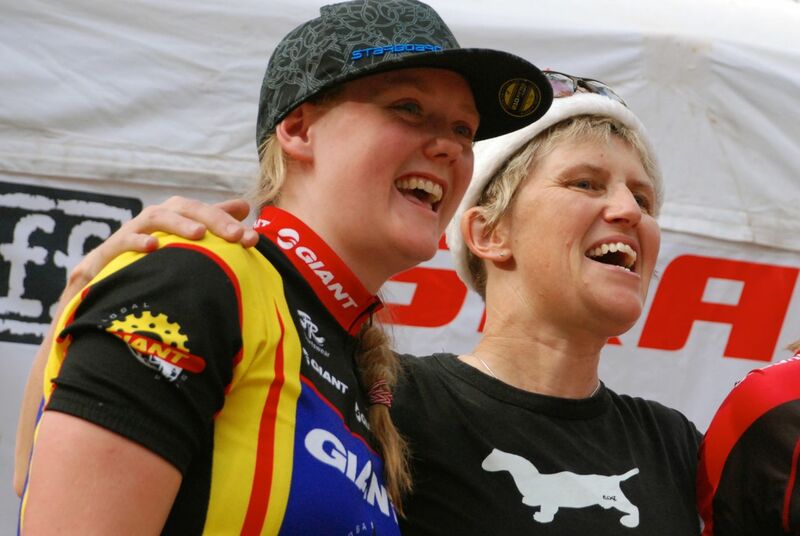 Photos: Kath Bicknell and Gaye Camm.